Offering convenient mobile live scan, ink fingerprinting and notary services, 7AM-7PM, 7 days a week. Groups and individuals serviced at the most competitive rates in Chico, Paradise, Oroville, Red Bluff, Redding and surrounding areas. 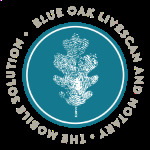 We are the convenient, affordable mobile onsite solution for all of your live scan, ink fingerprinting and notary needs.